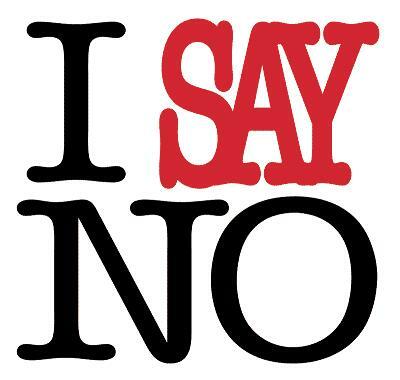 Point of view: Freedom to say "No"
Wondering how many people in this life dare to say loudly, openly and honestly - No! Is it cultural think or what? Why I have to step back to waitress which mix-up order while at the end of the day I have to pay her? Is it stupidity or what? Why I have to be modest and shut my mouth up while politicians, which took my 'voice', are stealing money, pride and faith of My Country? Is it blindness or what? Why we keep complaining about crimes, bribes and other illegal stuff if we keep doing it ourselves or encouraging others to do so?